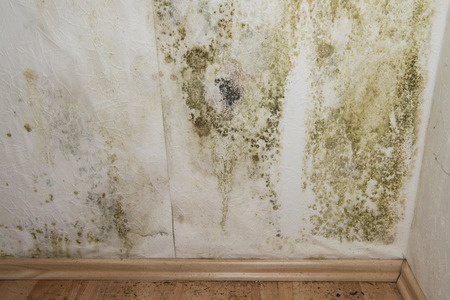 Do You Have A Problem With Damp? Surrey, Kent, London & Home Counties. Rising damp is one of the most common forms of damp, left untreated it will cause plaster to crumble and wallpaper to peel. Brixseal can eliminate your rising damp before it becomes a costly problem, using one of the UK’s most effective damp proofing systems. 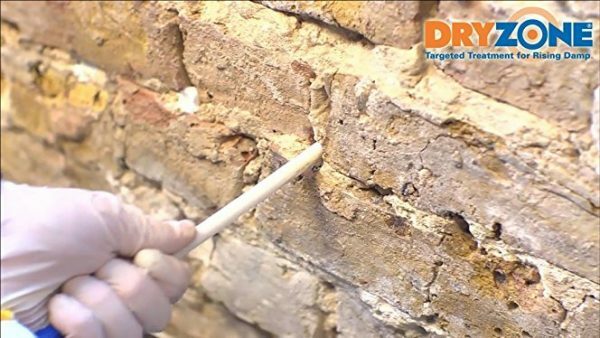 By injecting the damp proofing cream into pre-drilled holes along the mortar line, the formula then diffuses before curing to form a continuous water-repellent barrier. This prevents the damp from rising up the wall. Tide marks and damp staining. Tide marks are caused by evaporation and salts from the ground. You will normally notice them anywhere up to a 1 metre above the skirting board. If you do not notice tide marks, another very common tell-tale sign is damp patches or staining. Typically, these damp patches are yellowish or brownish in colour and similar to tide marks. Look out for wallpaper coming off or peeling away from the wall. You will most likely notice it coming loose from where it meets the skirting board first with the corner of the wallpaper turned or curved up. As with many forms of dampness, rising damp has the potential to cause rot within timbers it comes into contact with. Look out for skirting’s that are cracked, easily crumble or localised fungus growing on or creeping out of the side. Also, look out for damaged or flaky paint. What is the Dryzone System? We solve your rising damp problem in 24 hours. The Dryzone System combines the power of Dryzone damp-proofing cream with a modern fast-track replastering system. Rising damp treatment and replastering can now be completed in just 24 hours. Breathable and as effective as a sand:cement render, the Dryzone System allows for ordinary plasterboard to be used to cover up damp and salt contaminated walls. Why We Use Dryzone Damp Treatment. Up to 3 times faster than standard damp-proofing injection systems. Dryzone is over four times stronger than many competing products. Does not contain white spirit or iso-paraffins. Non-caustic, non-flammable, not injected under pressure. Independent tests demonstrate that Dryzone provides a more effective barrier to rising damp than competing products. Once we have completed the damp treatment on your property we offer a very competitively priced exterior wall coating service to protect your home or commercial premises.